Another view from the top - a busy day! 2006 again, Princess Danae on the berth as seen from Hurtigruten du Jour, Trollfjord. Princess Danae.... an absolutely fantastic and very gracious liner! They don't make them like this anymore. Sadly, but true. 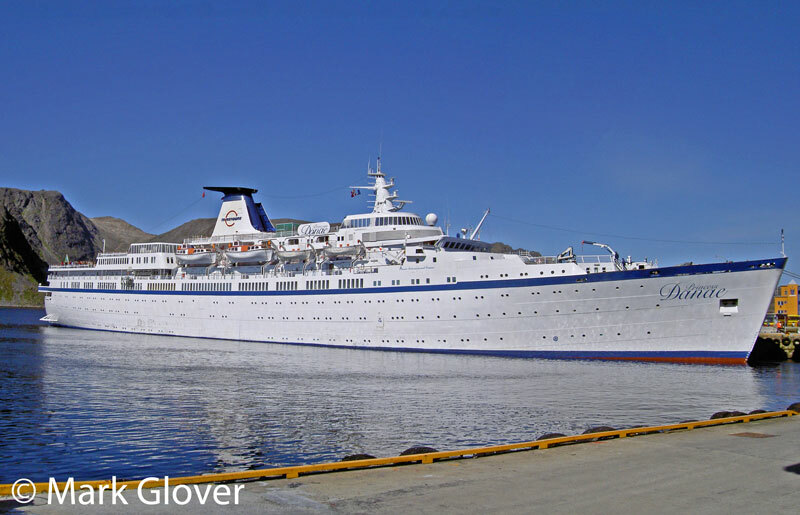 Joachim's great photos on the Autumn Cruise thread made me think Honningsvåg thoughts, so here are a couple more - relatively old ones. And as Trollfjord toddles off into the distance, Princess Danae takes bunkers. That’s an amazing viewpoint Mark!….in that second photo I’m imagining you’re a seagull perching on the cliff…but I expect there’s a simpler explanation!!!!! Only one Seagull around here!! Love the latest images - almost like a private plane excursion! Following on from Princess Danae, here's Princess Daphne. Showing her age but still beautiful (there's a lot of that about!). And then something a little different. 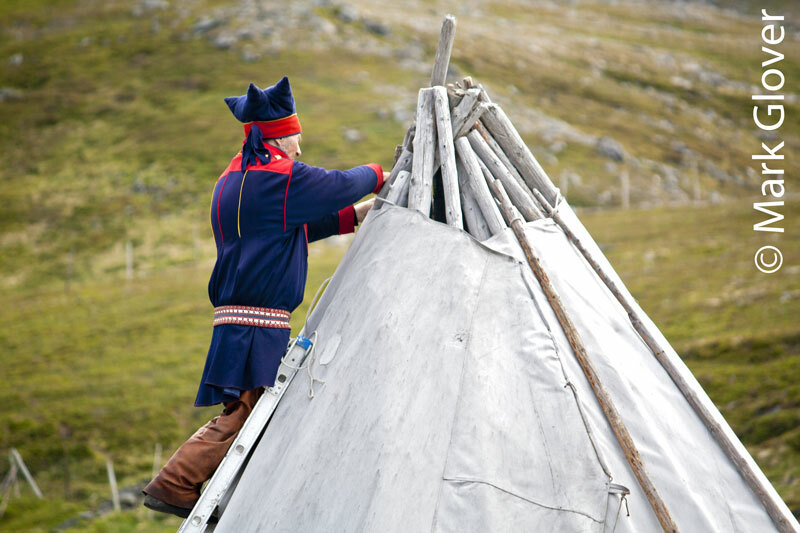 Local Sami superstar, Nils Somby, repairing the roof (or adjusting the satellite dish). Nils has the shop between Skarsvåg and Nordkapp (I suspect many of you have been there), and farms reindeer on Magerøya. He also hit NRK news this year with a nice article and some great photos of taking the reindeer for their annual swim - Lifeboat Odin in on the act too. Last edited by PoloUK; January 22nd, 2012, 17:14. 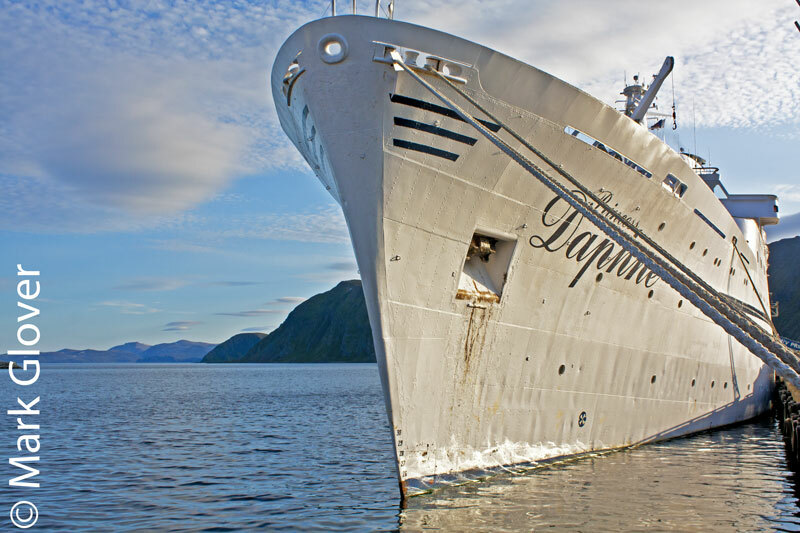 Great seeing the close up of the hull of the Daphne... look at those rivets! Not many ships feature those any longer. 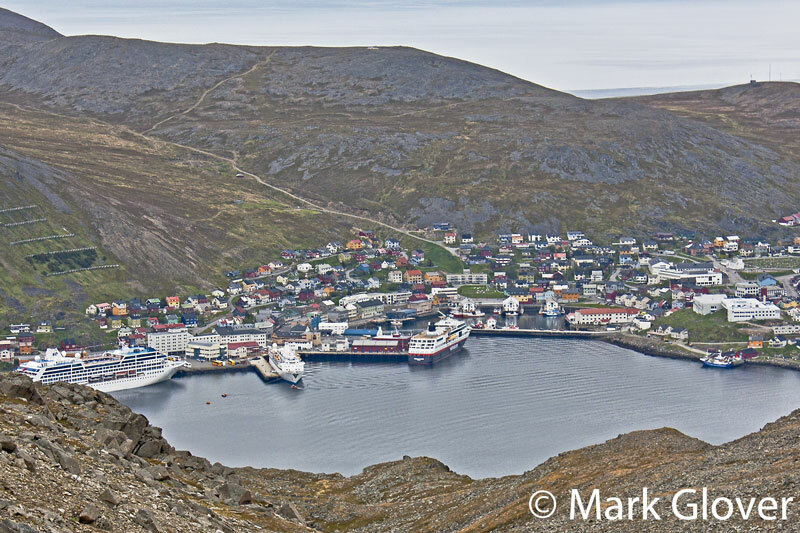 It's been a little while since we posted anything on this one, so here are a couple of wildlife in Honningsvåg. 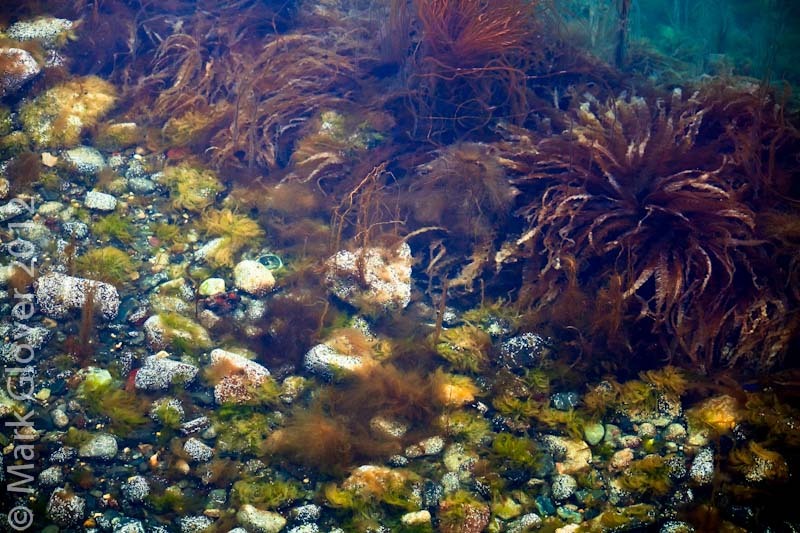 Firstly, it's sometimes hard to believe how clean and clear the water that the ships are sitting in is. This is under Kai Nord. And then, just in case you didn't know your way around town, here's the map - demonstrated by my glamorous (and local) assistant (brother-in-law!). Last edited by PoloUK; January 30th, 2012, 00:24. I had a small laugh at that sign ... city map.... ! 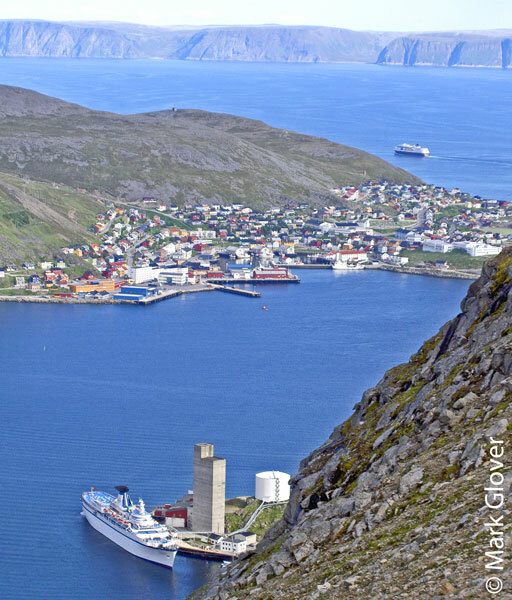 "giggle"
"The status of Honningsvåg as a city is a point of contention between the inhabitants of Honningsvåg and Hammerfest which many foreigners may find strange, given the small size of both of these places. In Norwegian the word 'by' can mean both town and city and Norwegian does not distinguish between the terms in the same way as English or other languages do. The translation of the word into English is thus ambiguous and can be chosen as one sees fit. 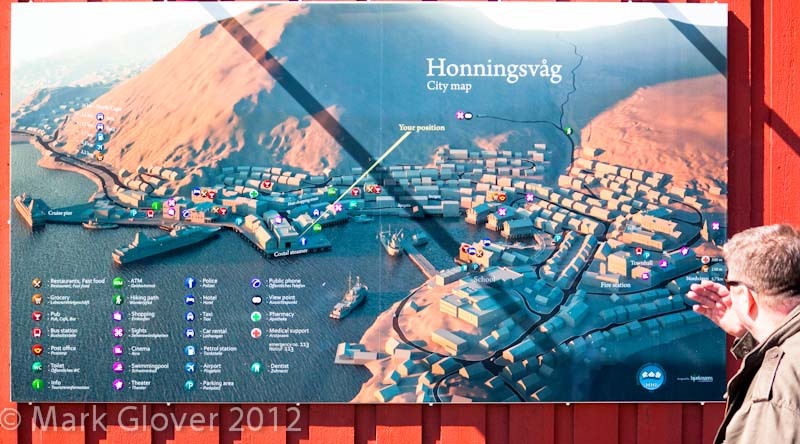 If both Hammerfest and Honningsvåg were to be defined according to British tradition, neither of them would be considered cities, as neither has a university or a cathedral. Both of them would, however, be considered towns, given the status of both settlements as economic hubs of the surrounding areas and the status as municipal centers." The one from Repvåg Kraftlag in particular is stunning - especially in Full Screen mode. Last edited by PoloUK; January 31st, 2012, 14:46. Nice new webcams... it'll be nice to use them during the cruise season this year. PS: Hurtigruten is live right now! A little while since we've added to this one, so one or two more. The Hurtigruten isn't the only link to the outside world. 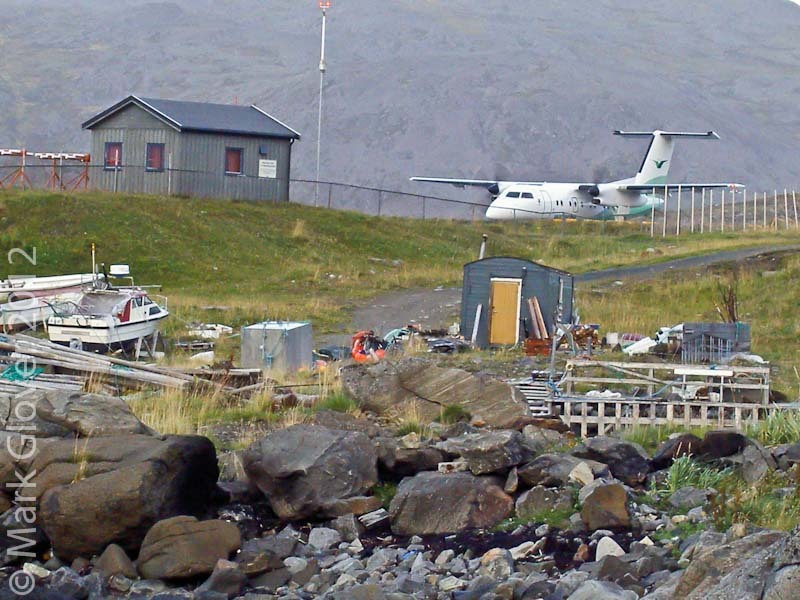 The undersea tunnel connects Magerøya to the mainland, and Valan airport is served by Widerøe's Dash 8s. 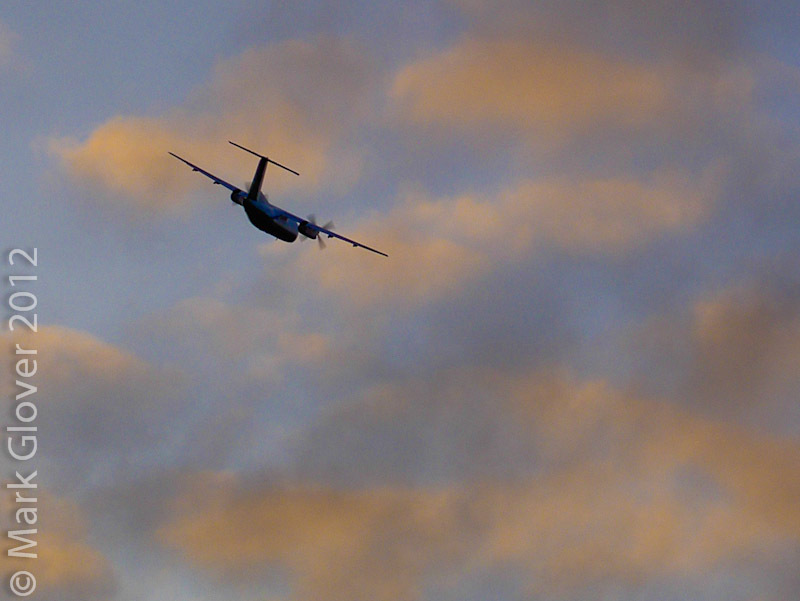 Pretty smart pilots, but then they get an awful lot of practice coming and going from some very short airstrips. Valan is close against the hills on one side, and protected by cliffs on another - end result is 100% windshear if the wind's coming from the wrong direction. 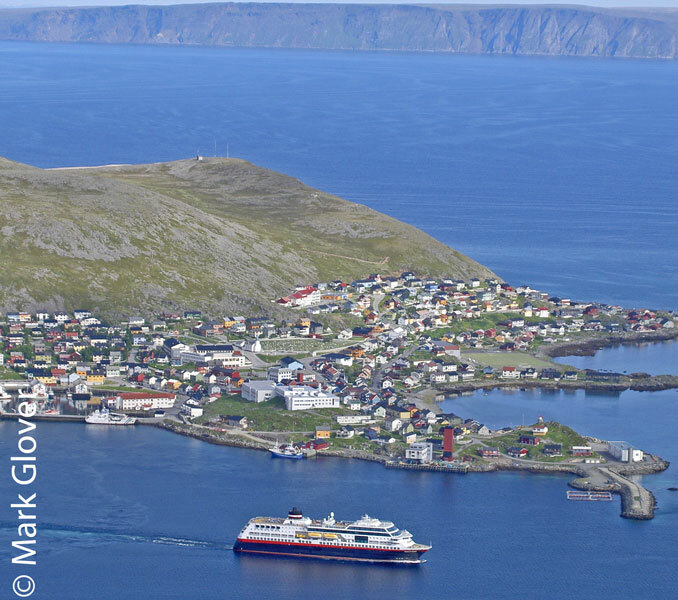 Best bet - take the boat or the tunnel to get to Honningsvåg, but walk down to the airport and enjoy the evening flight arrive and depart. 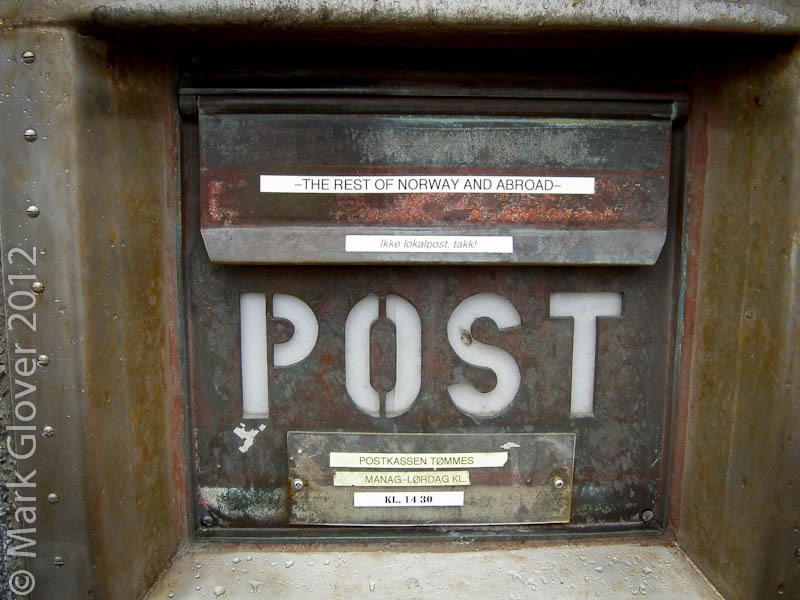 Nothing to do with the airport, but this one appeals to me too - a very well used postbox in town itself. Last edited by PoloUK; February 23rd, 2012, 22:14.